Biotechx Energy International is focusing on renewable Energy with input of the newest technologies to provide a better lifestyle for the existing generation and the generations to come. 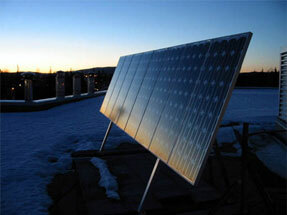 Solar electric systems use a technology called photovoltaics, orPV, that converts sunlight into electricity. PV cells are made fromsemiconductive material, usually silicon. Biofuels are made from either Ethanol or vegetable Oils for use in Petrol or Diesel Engines. Those are not fuel subsidies but were initially the only available source for engines. Biogas is the result of the controlled microbial breakdown of organic materials such as animal manures or food scraps in an anaerobic digester. Biotechx Energy International joins hands with WaterSmart Environmental Inc.
© All Rights Reserved. BioTechX Energy International Pvt. Ltd.